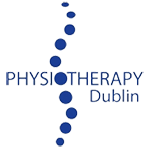 Home/What should I wear to my Physiotherapy appointment? This depends on the body part that’s to be examined and treated. Needless to say that “skinny jeans” aren’t the most convenient for assessing a knee injury for example. Generally, it’s advisable to wear comfortable, loose fitting clothing or tracksuits. Wear clothes that you yourself might wear for exercising in. If you’ve got a lower limb, quad, hamstring or groin injury it’s a good idea to bring along a pair of your own shorts to change into.